In part two of our continuing series, we’re going to look at Demolition; the steps of Plumbing; Framing and Electrical; as well as Walls, Windows, Doors, and Flooring. Demolition can be a place where you can save yourself some money if you choose to do-it-yourself, but make sure to plan for the removal of building materials and old appliances. Many municipalities will not allow for building materials to be mixed with trash. Check with your new appliance dealer, as they may handle the removal of old appliances. Once your demolition is complete, you’ll be moving on to any rough framing, plumbing and electrical. A big factor in the cost and design options for your kitchen revolves around your willingness to change the current layout. If you change the layout it can end up adding to the cost due to the additional, plumbing, electrical and flooring changes you may have to make. 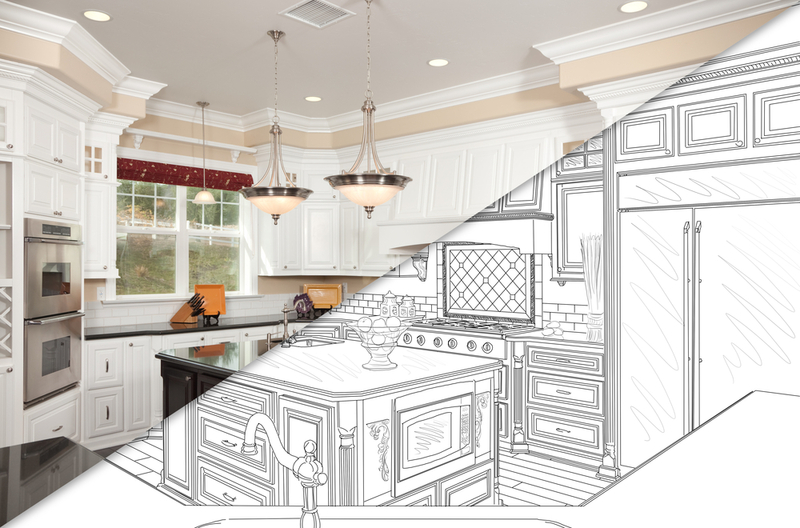 However, if changing the layout is an option, your kitchen designer has more freedom to help you optimize your layout for your families needs. 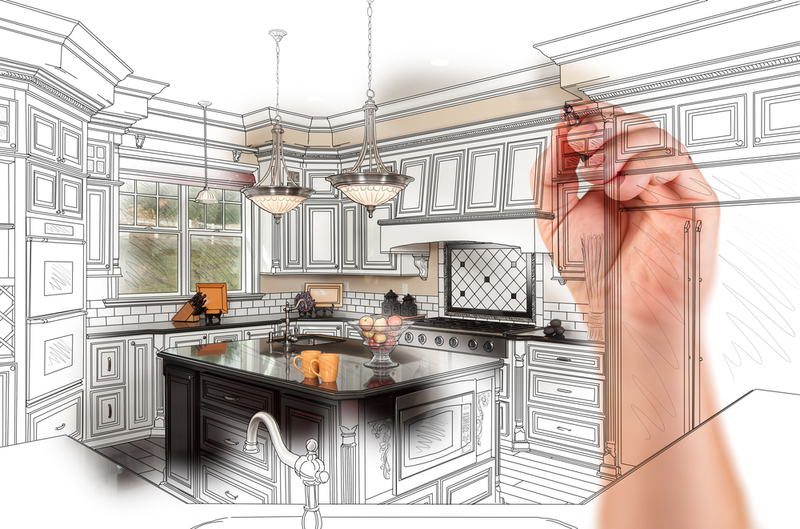 If you are adding a sink or moving the location of your sink or any of your appliances or in any way changing the layout of your kitchen, plan on some level of electrical and/or plumbing work. Similarly if you are changing the type of appliances (such as from gas to electric or visa versa) you need to plan such changes with your licensed plumber and/or electrician or both. 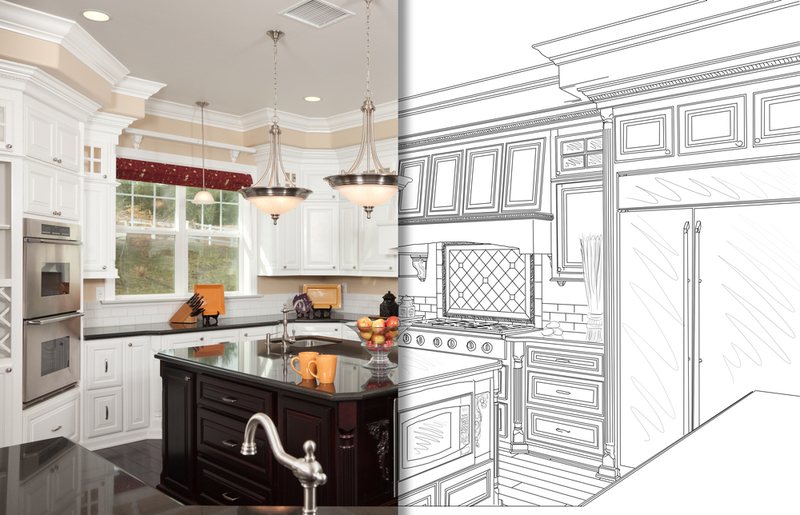 If you are changing the location or types of lighting fixtures in your kitchen you should also consult with your electrician and plan the changes before you begin your project. If building inspections are required (consult with your particular city or town), they should be done before moving ahead to sheet rocking over any new electrical or plumbing work. New full walls or partial walls are done at this stage of the project. Note that if you are adding or removing walls, doors or windows or redoing electrical or plumbing, your town may require that plans approved by an architect be submitted to your municipality for approval prior to obtaining a building permit. Remember to paint any sheetrock surfaces, even those behind appliances. This will help to protect them and make periodic cleaning easier. After passing the needed “rough-in” inspections (if required) you can move forward to the task of replacing or patching the sheetrock walls or adding sheetrock to any of the new walls. 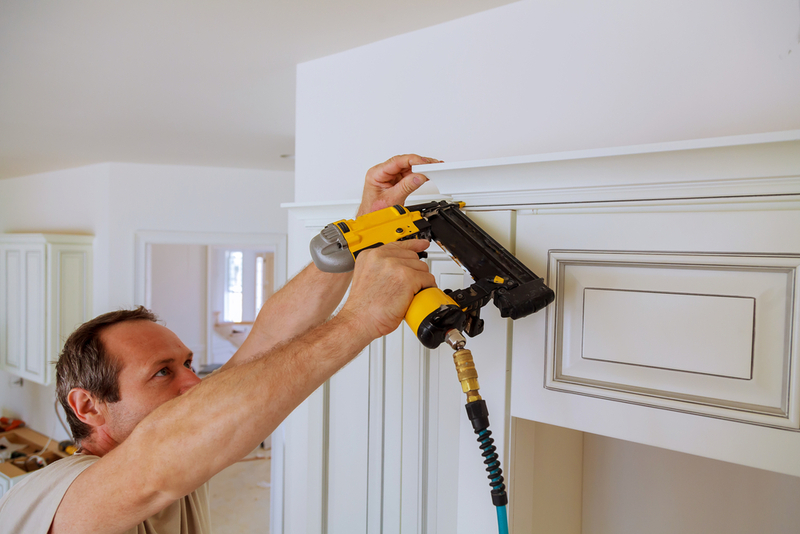 If you are adding or moving windows or doors make sure to replace or add new molding at this stage (except for moldings that interface with the floor). If you are installing new flooring material made from either wood or ceramic tile, it should be done prior to installing your cabinets. 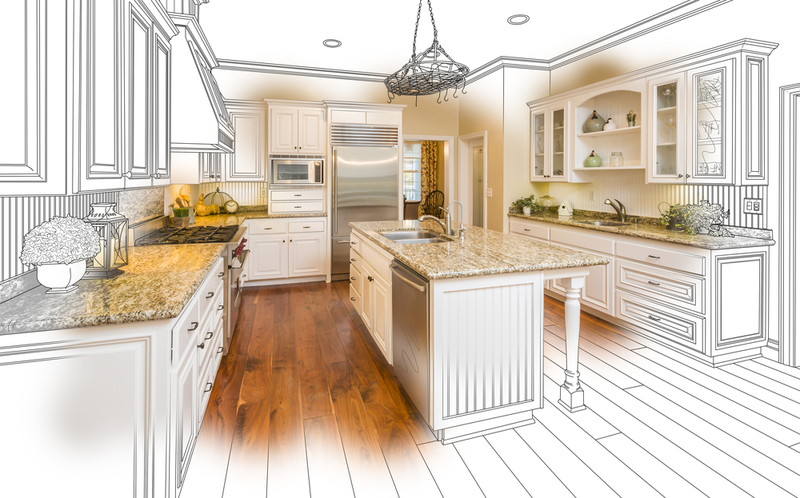 You should cover the entire kitchen floor including under the location that the new cabinets will be placed as well as where appliances will be set. There are many reasons to install your new flooring under the new cabinets, including that the base cabinets and island height will not be proper unless it is placed on top of the flooring. However, it’s very important to protect your new floor from damage while you are working on the rest of your renovation project.